Ralph is responsible for leading the company's business strategy, operational and financial performance, and organizational requirements. Ralph began his career as an underwriter with Cigna Aerospace in 1984. During his tenure he held a number of underwriting management positions advancing to senior vice president-aerospace practice leader in 1997. Ralph then became senior vice president-head of business aviation when the ACE Group acquired Cigna Property and Casualty in 1999. He joined Old Republic Aerospace as senior vice president-corporate aviation product line manager in 2003 and was promoted to executive vice president-chief underwriting officer in 2009. In 2011, Ralph was promoted to president and chief operating officer and in 2014, he was appointed as president and chief executive officer. Ralph has a Bachelor of Science in Air Commerce and Flight Technology from Florida Institute of Technology. He is also a commercial, multi-engine pilot with an instrument rating and holds a Flight Engineer Certificate with a turbojet rating. Mike is responsible for overseeing the day-to-day operations of the Old Republic Aerospace claims services. Mike launched his career in aviation insurance as a senior claims supervisor and attorney with the United States Aircraft Insurance Group (USAIG), New York. Thereafter, he joined the law firm of Gallagher, Gosseen & Faller, New York, practicing product liability and aviation law. Mike subsequently assumed the role of vice president of ICALM Group, Chapel Hill, managing aviation-related matters for large insurers in the European market as well as self-insured clients. In 2000, Mike joined Travelers Insurance Company and held a variety of senior technical and managerial claim positions. He was appointed vice president, director of claims for Travelers Aviation before joining Old Republic Aerospace in 2010. Mike holds a Bachelor of Arts in Economics from Brooklyn College and a Juris Doctor with honors from St. John's University School of Law. He is admitted to the federal and state bars of New York, holds adjuster licenses in sixteen states and is a certified mediator. Gary is responsible for developing underwriting best practices and guidelines across the commercial, corporate and manufactured products aviation portfolio; as well as providing management oversight for all underwriting office locations. Gary began his career in aviation insurance as an underwriter with United States Aircraft Insurance Group (USAIG), Minneapolis office, advancing to assistant vice president. From 2008 to 2009, Gary worked at Travelers Aviation as regional vice president-underwriting. In 2009, he joined Old Republic Aerospace as vice president establishing a regional underwriting office in Chicago. In 2012, Gary was promoted to senior vice president and in 2014, he was appointed as executive vice president and chief operating officer. Gary holds a Bachelor of Science in Aviation from Western Michigan University, a commercial pilot license with an instrument rating and Certificate of Achievement in Lean Six Sigma from Villanova University. In addition, Gary serves on the Aviation Insurance Association's board of directors and on the General Aviation Joint Steering Committee as the insurance industry representative. Craig is responsible for overseeing the workers' compensation product portfolio and business unit. He has over 25 years of progressive experience in the aviation field. Craig started his career in the aviation industry as an U.S. Coast Guard Aircrewman based at Air Station Miami where he participated in search & rescue and maritime drug interdiction missions. He then joined AIG Aerospace as a professional associate and after 15 years progressed to the position of senior vice president, aviation workers' compensation product line manager. He then became an insurance broker with SkyTerra, Inc., an aviation insurance specialty brokerage. Craig joined Old Republic Aerospace in 2011 as a senior vice president, workers' compensation product line manager and in 2014, was appointed as executive vice president. Craig holds a Bachelor of Science in Aviation Business Administration from Embry Riddle Aeronautical University, Daytona Beach. Brian is responsible for developing the underwriting strategy and providing oversight for the airline/major risks portfolios. 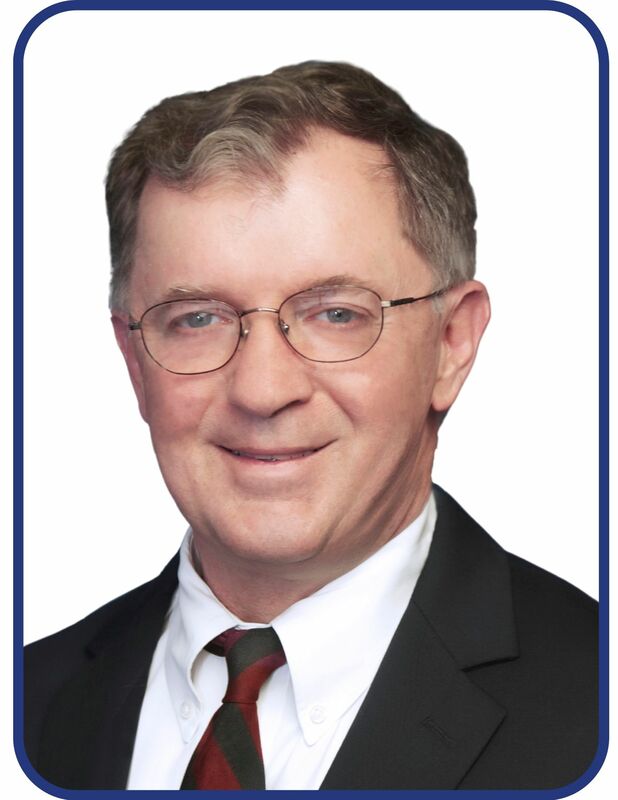 Brian began his career in aviation insurance in 1984 with Global Aerospace in New York City. In 1986, he joined the Airline Department was promoted to senior underwriter in 1988. He transferred to the Eastern branch office as assistant branch manager in 1995 and was promoted to vice president, manager of the pleasure and business operations unit in 1997. In 2000, he transferred to the New York City office as Northeast regional manager. In 2006, Brian joined the major risk underwriting team at AIG Aerospace in Atlanta before joining Old Republic Aerospace in 2014. Brian's prior experience includes work as a commuter airline and corporate pilot. He is certified as an airline transport pilot and flight instructor and has logged over 5,000 flying hours. He received his undergraduate degree from Southern Illinois University and his MBA from Fairleigh Dickinson University, New Jersey. Matt is responsible for IT strategy and governance, application development, and IT operations. He began his career in 1999 where he was the lead web developer for the University of Georgia sports communications department. Matt then spent 10 years with AIG Aerospace, first as an application engineer and then later growing his experience within the project management office as a business analyst and project manager. He joined Old Republic Aerospace in 2011 to organize the project management office and in 2014, was promoted to senior vice president, chief information officer. Matt is a 2002 graduate of the University of Georgia and currently contributes as a member of the University of Georgia Terry College MIS Advisory Board. He is active in the Atlanta tech community including serving for TechBridge as an Executive Ambassador on the steering committee, as well as a participating member of IIBA, PMI and GCLA. Jeff's responsibilities include corporate, airport and NCP underwriting. In addition, Jeff, heads the branch underwriting offices. He began his career at Cigna Aerospace where he held various senior aviation underwriting positions and later advanced to vice president and NY / Atlanta branch manager when the ACE Group acquired Cigna Property and Casualty in 1999. Prior to joining Old Republic Aerospace in 2016, Jeff was chief underwriting officer Ð Aerospace for the Americas region of AIG after holding several underwriting and management roles of increasing responsibility over 13 years. He holds a Bachelor of Science in Business Management/Marketing from Rutgers University, an M.B.A. in Finance from Temple University and is a licensed private pilot. Gordon is responsible for overseeing corporate administration and compliance. From 1983 to 1989, Gordon served in the United States Air Force and was involved in missions throughout the U.S., Europe and the Middle East. Gordon began his career as an aviation insurance broker. His background also includes underwriting positions with Cigna Aerospace, ACE Aerospace and Global Aerospace, before joining AIG Aerospace as regional vice president managing the Southeast U.S., Caribbean and Atlantic Islands territory. In 2006 Gordon accepted a position with Travelers Insurance Company as president of the U.S. aviation insurance practice. In 2011, he joined Old Republic Aerospace to manage the corporate administration, regulation and compliance functions. Gordon holds a Bachelor of Science in Management of Technical Operations from Embry-Riddle Aeronautical University, Daytona Beach and holds a commercial pilot license. Adam is responsible for overseeing the Old Republic Aerospace subrogation recovery division, manages various complex claim files and assists with corporate claims compliance. He also assumes responsibility for heading our Risk Control Services. Adam began his aviation insurance career with ORAE as a claims attorney in 2006 and has since been promoted to vice president, corporate claims counsel and director of risk control services. Prior to joining ORAE, Adam was a certified financial planner. Adam is a graduate of Pennsylvania State University and holds a Bachelor of Science in International Business and Economics. Adam received his Juris Doctor from The University of Akron School of Law and is admitted to the New York State Bar. Wes is responsible for overseeing the light aircraft pleasure & business portfolio. Wes began his aviation career in 2000 as a flight instructor working in Auburn University's Flight Education Department providing flight instruction for initial and advanced students as part of the FAR Part 141 Flight School. He later joined Auburn University's Air Transportation Department where he served as a pilot crewmember on king air and citation equipment for six years. Wes also held a two-year term as an airport advisory board member for a local municipal airport. In 2007, he joined AIG Aerospace as an underwriter and subsequently was promoted to senior underwriter in 2009, assistant branch manager in 2010, and in 2012, became the light aircraft product line manager for North America. Wes also served as a captain in their corporate flight department operating a sabreliner. Wes joined Old Republic Aerospace in 2013 working in the corporate aircraft product line as assistant vice president of underwriting, and in 2014 he was appointed as vice president - pleasure & business product line manager. Wes holds a Bachelor of Science in Aviation Management / Professional Flight from Auburn University and is certified as an airline transport pilot, certified flight instructor and advanced ground instructor. Daniel manages the Dallas branch underwriting and customer service operations. In 1988, Daniel started as an underwriter for United States Aircraft Insurance Group (USAIG), Houston office. He was promoted to assistant vice president, assistant branch manager in 1998. In 2003, Daniel was promoted to vice president and transferred to the USAIG, New York office, to become the manager of the pleasure & business product line and subsequently was promoted to senior vice president. Daniel joined Old Republic Aerospace as the Dallas branch manager in 2011. He holds a Bachelor of Business Administration from the University of North Texas and a Master of Business Administration from Rice University. Daniel is a commercial pilot with a single engine land and sea ratings as well as multi-engine land and instrument ratings. He is also a certified flight instructor with single engine and advanced ground instructor ratings. JT is responsible for developing the Old Republic Aerospace underwriting strategy and guidelines for the agricultural aviation product line. JT began his career in aviation insurance in 1999 as an agent with NationAir Insurance Agency, Lincoln, Nebraska. Subsequently, JT was transferred to St. Louis, Missouri, to start a light aircraft unit for NationAir. In 2006, he joined AIG Aerospace, Atlanta, as assistant vice president - manager of their light aircraft division. In 2009, JT worked again as an agent for Eastern Aviation Insurance. He then joined Old Republic Aerospace in 2011 as the assistant branch manager of the Atlanta branch responsible for pleasure & business, corporate and commercial lines. In 2013, JT was appointed as vice president - agricultural aviation and Alaska product line manager. JT holds a Bachelor of Science in General Business from Mississippi State University and was a commissioned officer and UH-60 Blackhawk Pilot in the United States Army. Gary manages the Atlanta branch underwriting and customer service operations. In 1986, Gary began his tenure in aviation insurance with United States Aviation Aircraft Group (USAIG), Toledo, and then transferred to the St. Louis office. There he worked in a variety of underwriting and management positions ultimately becoming the assistant branch manager. Thereafter, Gary briefly worked at Travelers Aviation as regional vice president, Southeast and at Starr Aviation Agency as vice president, Eastern regional manager before joining Old Republic Aerospace in 2011. He holds a Bachelor of Arts in Communication Science from Lindenwood University (Missouri) and holds a private pilot license. He is a member of several aviation organizations including the Greater St. Louis Business Aircraft Association, Kansas City Business Aircraft Association and Georgia Business Aviation Association. Paul joined Old Republic Aerospace in 2011 and manages the New York branch underwriting and customer service operations. Paul began his career in aviation insurance underwriting with National Aviation Underwriters in 1982. Based in West Virginia, he was responsible for underwriting risks in the Mid-Atlantic States. In 1984, Paul relocated to New York City to work for Associated Aviation Underwriters (AAU) initially managing business in the State of Massachusetts and then for the New York City brokerage community. While at AAU, Paul was promoted to assistant branch manager underwriting Fortune 500 corporate accounts and complex aviation risks. Paul holds a Bachelor of Science in Aeronautical Studies from Embry-Riddle Aeronautical University and a Master of Science in Aviation Business Management from Dowling College. Paul is an adjunct professor at Vaughn College of Aeronautics and Technology (New York) and is a FSI/IBAC certified Safety Management Systems (SMS) graduate and instructor for the SMS curriculum at Vaughn College. He is a licensed private pilot with multi-engine, instrument and glider ratings. Michael manages the Chicago branch underwriting and customer service operations. He began his career in the aviation industry as a flight instructor at Lewis University (Illinois) in 2001. He worked briefly as an aviation insurance broker before entering the airline industry; first as a check airman with Skyway Airlines and then as a first officer with AirTran Airways. Michael later joined Travelers Aviation as an account executive underwriting corporate and commercial aviation accounts. In 2009, he joined Old Republic Aerospace and was promoted to assistant branch manager. In 2012, Michael was subsequently promoted to vice president-Chicago branch manager in charge of the Midwest territory. Michael holds a Bachelor of Science in Aviation Flight Management from Lewis University (Illinois). John manages the Seattle branch underwriting and customer service operations. He joined the Chicago office of Old Repbulic Aerospace in 2011 as a senior underwriter and subsequently transferred to the Seattle branch in 2015 to assume the position of assistant branch manager. Prior to joining Old Republic Aerospace, John was an account executive at NationAir Insurance and also held various positions at Travelers Aviation, Aviation Markets, Inc., Olympic Steel, Inc. and COMAV Aviation Insurance. John is a graduate of Kent State University with a Bachelor of Science in Aviation Management. He is a commercial pilot with CFI, multi-engine and instrument ratings.